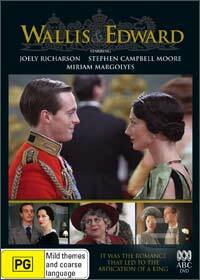 Wallis & Edward is a romantic drama revolving actual events that stunned a world. During the 1930's, Prince Edward became romantically involved with an American called Wallis Simpson who was also unfortunately married. This scandal sent shockwaves through the British monarchy and even though Prince Edward was shunned by the public, he decided to abdicate the thrown in 1936 and follow his heart with Mrs. Wallis Simpson. Featuring some great performances by Joely Richardson and Stephen Campbell, the tale was tastefully directed by Dave Moore in this real-life incident that parallels some of the events between Charles and Camilla. An intense drama that will keep you glued to the screen as one man attempts to over come a dynasty of traditional for the love of a commoner.